Bob VK3AIC with his recently built ‘flower pot’ antenna from VK2ZOI’s site. 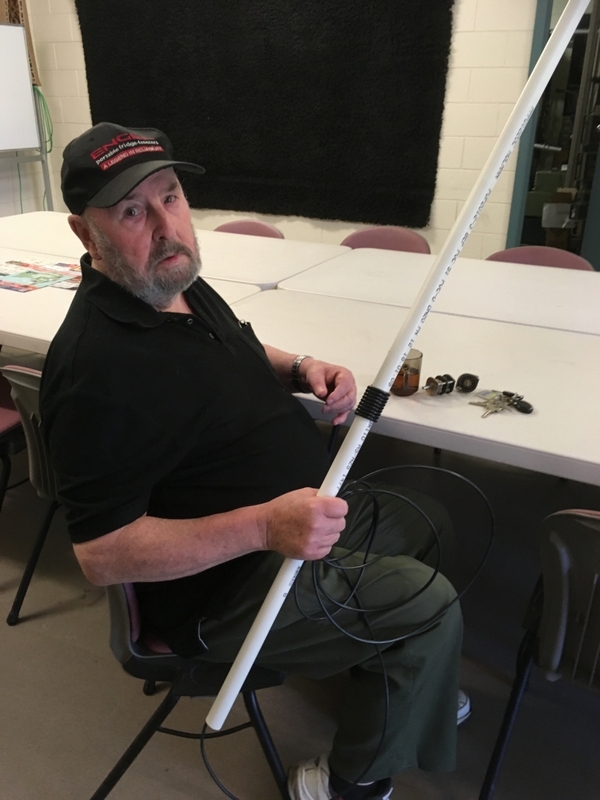 Recently at the EMDRC working bee, Bob VK3AIC, EMDRC Committee Member, created quite some interest when he brought in his latest project. A very neat antenna for 2 and 70. By all reports, it’s a beauty. Bob mentioned that John, VK2ZOI, has some very good information on his site about how to build this easy antenna – coax, pvc pipe, end-cap and a few odds and ends does the trick. Mounting is up to you of course but relatively cheap and simple. You can build the single band (half wave) first then add a simple ‘phasing sleeve’ (eg foil) to use it on 2 and 70. “Operation on the third harmonic is achieved by using a sleeve technique so as to form quarter wave phasing sections (at the higher frequency) to end feed two half waves in phase at the third harmonic. 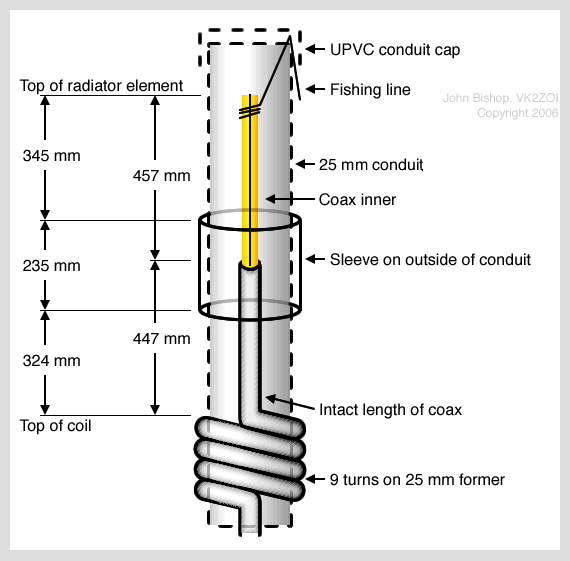 A ‘potted’ history and background of the flowerpot antenna is provided by John at https://vk2zoi.com along with some very clear graphics and details about building the unit. Thanks Bob for sharing this tidy project from John’s site. Regards Ed (Martin VK3TMP).